"I'm not lost or left behind. I've been hidden here for you to find! In this bag (just lift the flap), you'll find access to my Traveler's Map!" 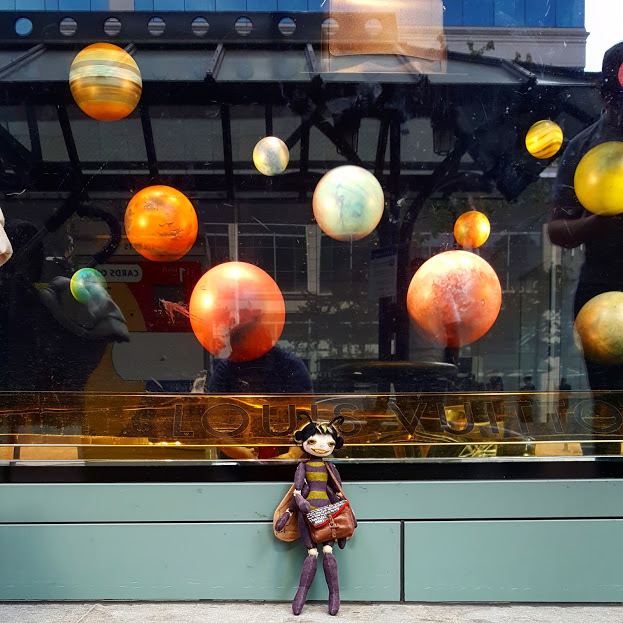 Bea's Travelers are little dolls who have been (or will be) hidden around the world. 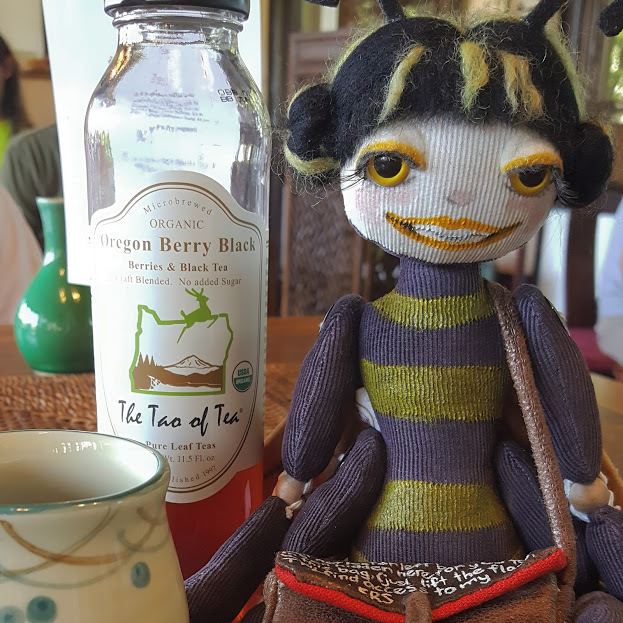 We are hoping to collect photos of all the adventures the Bea's Travelers have. 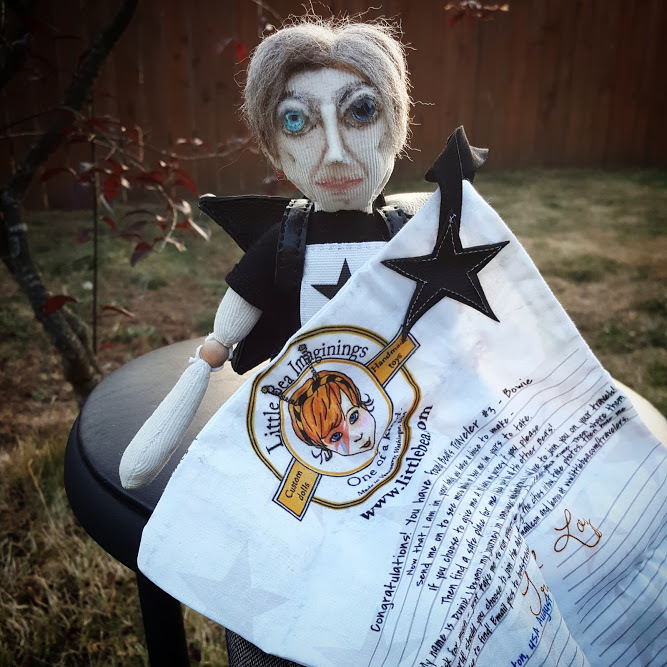 You are probably wondering why we would send free dolls out into the world. The answer is: curiousity. The Little Bea and I are curious how many people will participate and we are excited to see places we may never see in person. It's pretty cool to think a part of our lives will travel the world! 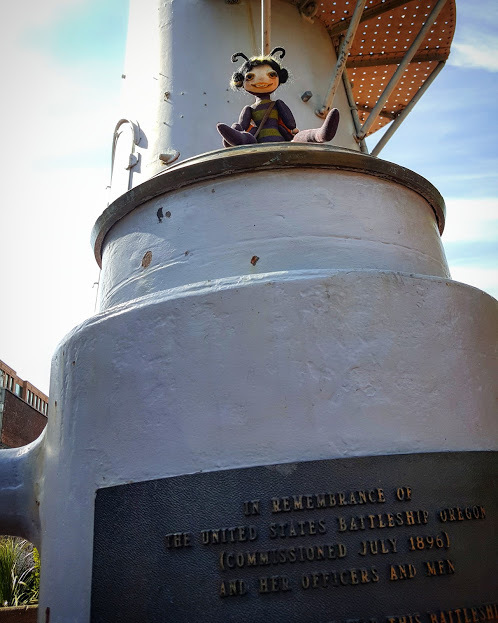 If you find one of Bea's Travelers and choose to keep it, I hope you still share pictures of the adventures you take them on because that will still be a wonderful experience for the Little Bea and I. No money required! Please don't feel obligated to spend any money on participation. 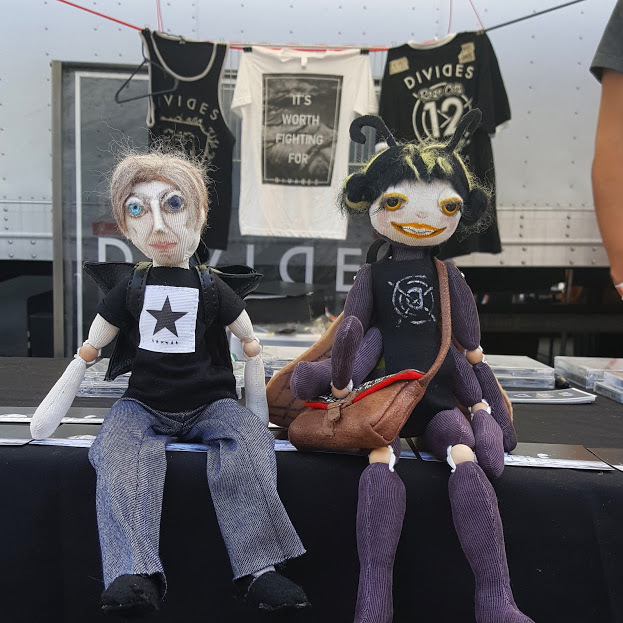 We would prefer the dolls travel with people instead of being shipped places. I can't imagine the view is very good from inside a shipping box. With that being said, if you know of someone who would be interested in actively participating in the adventures and you have to ship the doll to them, it's not like we would know. We are not technologically savvy enough to put tracking devices in the dolls. Plus, that would be creepy. When you are ready to hide your Traveler, choose your location wisely. If you decide to hide a doll outside, they fit nicely into gallon size freezer bags. It would also be helpful to email us a hint so we can point people to the dolls if possible. 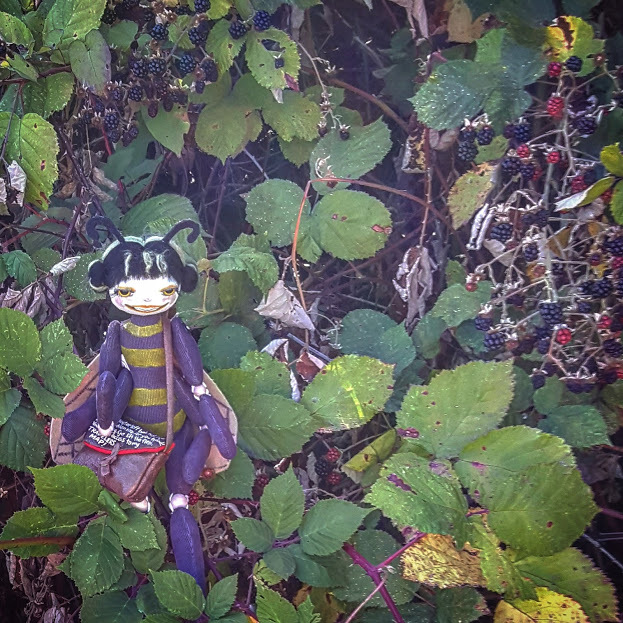 Hide dolls in places where tourists go. 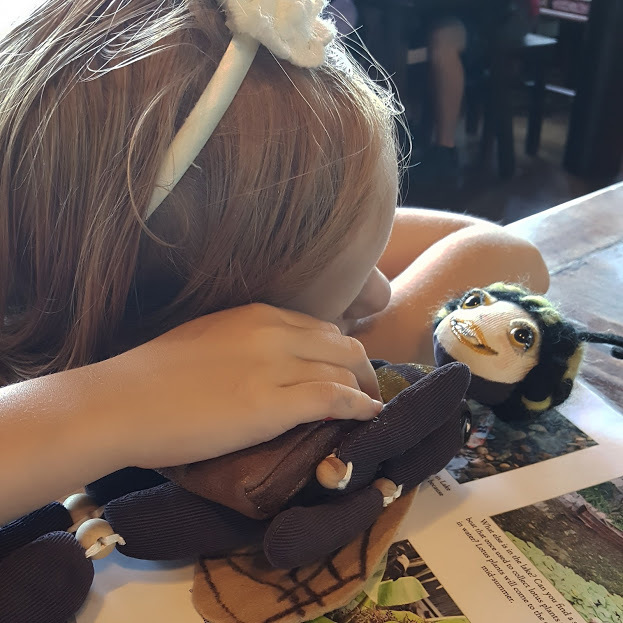 Not only will this help people find the dolls more quickly, it will give them access to people who are traveling and could take the dolls further on their journeys. Have fun and please share pictures with us at littlebeaimaginings@gmail.com! Below, you will find information for each of Bea's Traveler. 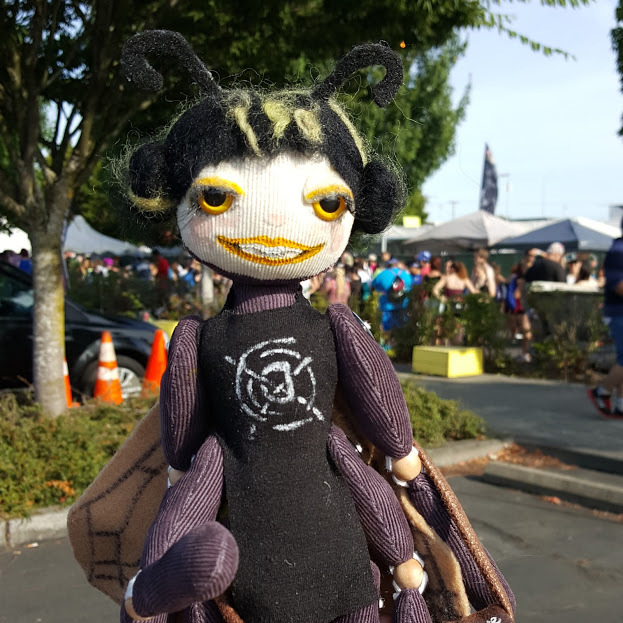 All the dolls are signed and numbered so you will know they are really Bea's Travelers. I am hoping to send more Bea's Travelers into the world over the next couple of months. 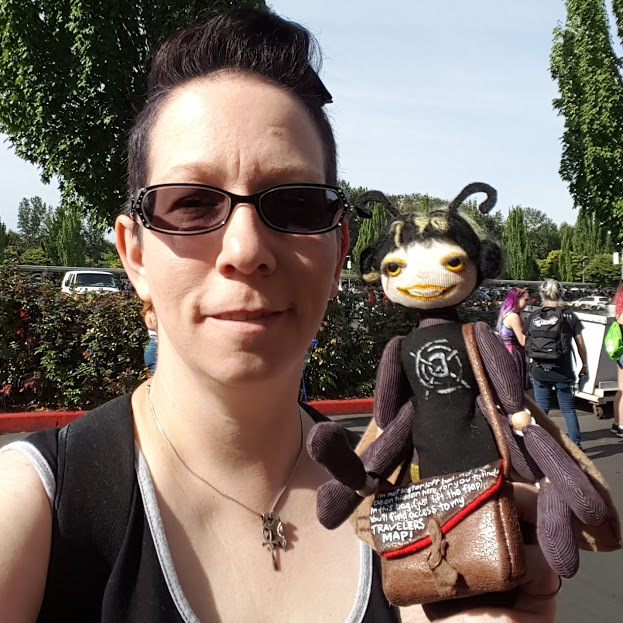 The Bea's Traveler heading out after Elliott will start in the Portland/Vancouver area and I will post clues regarding where to find the doll once it has been hidden. Follow Bea's Travelers on Instagram! UPDATE - November 12, 2016 - Elliott made it home! She had quite the adventure traveling through New Zealand to Antarctica to Utah and then home to Washington! 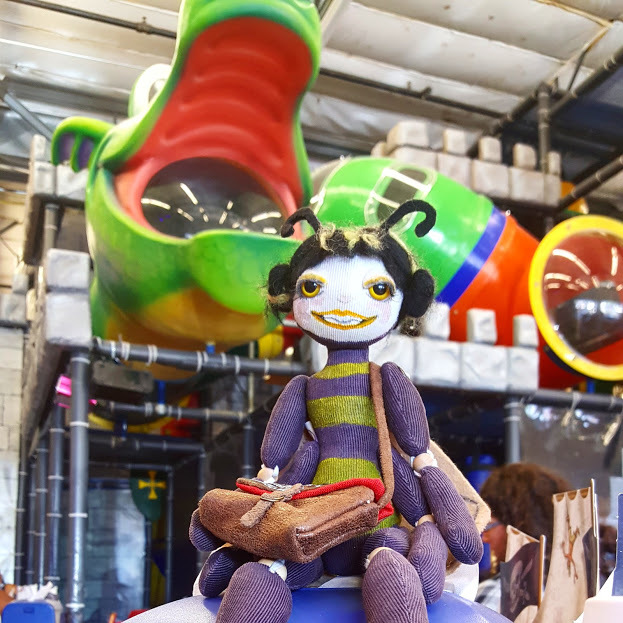 Seh is going to rest up during the holidays and then she will possibly head out into the world again in 2017. October 9, 2016 - Alas, Elliott may be lost... She still has not arrived in Antarctica and the friend she was traveling to is now on his way home to Utah. 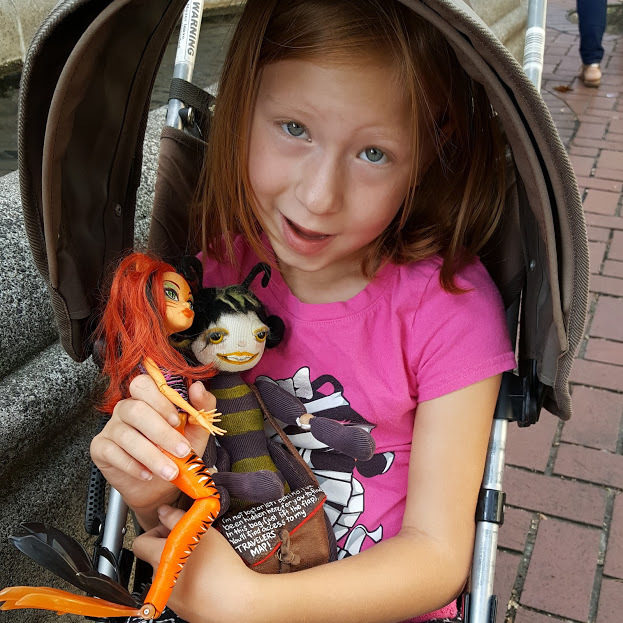 I am hoping she got forwarded there because she was traveling with another doll who was a gift for my friend. If we hear from her, all of you will be the first to know. September 26, 2016 - STILL in transit. Shipping to Antarctica is much more difficult than I thought. August 29, 2016 - STILL in transit. Hoping she'll arrive this weekend on the next flight. August 14, 2016 - STILL in transit! Sigh. August 8, 2016 - I'm still in transit. It takes a long time to get to Antarctica! 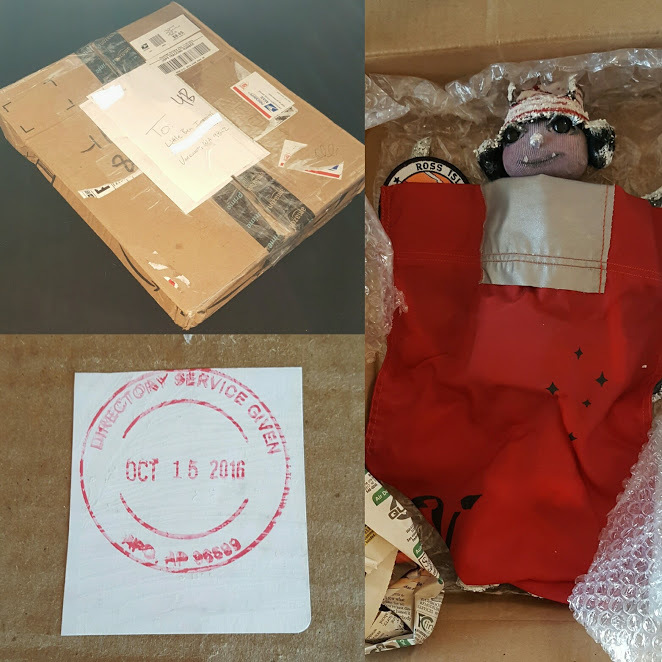 July 27, 2016 - I headed out via USPS to my destination in Antarctica! Wish me safe travels! My name is Elliott and I am about to travel from Vancouver, Washington, USA to McMurdo Station in Antarctica. I have a friend there who will help me on my journeys. Where will I travel next? October 9, 2016 - I've been hanging out at home for now. Hoping to do some traveling soon. 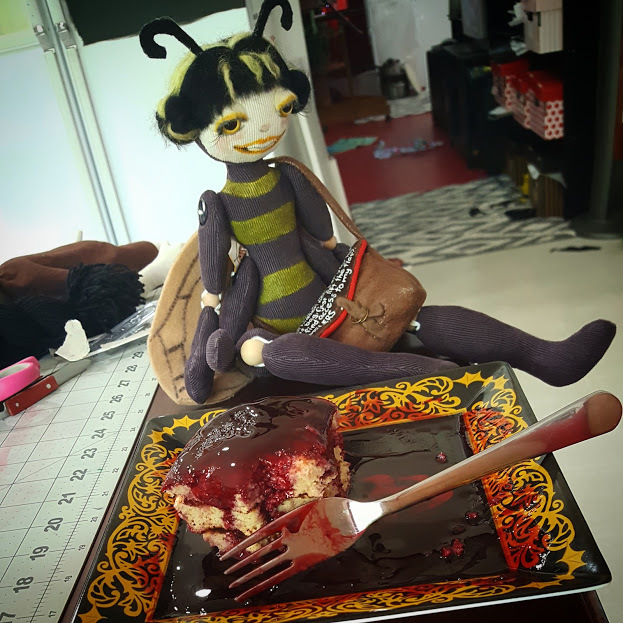 September 26, 2016 - I've been mostly hanging out in the Little Bea Imaginings shop due to the busy school year. Hopefully I'll be traveling somewhere soon! 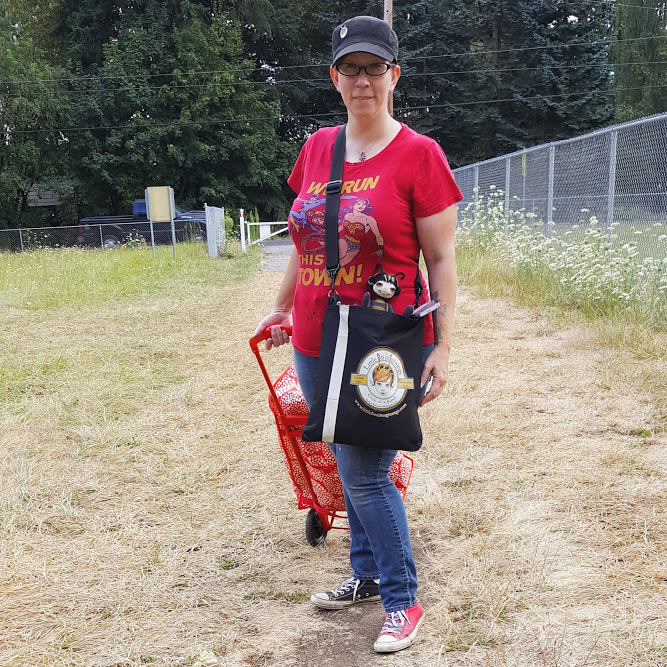 August 29, 2016 - I've been very busy! I visited Oaks Amusement Park, wandered around Portland and played at Dizzy Castle in Vancouver, Washington! Check out my pictures below! August 14, 2016 - Whew! I've had a busy few weeks! So far, I've been to Brewed Awakenings, Anoush Deli, Lan Su Chinese Garden, Costco, a Voter Ballot drop, wild blackberry picking, all over town in Vancouver and yesterday I got to go to the Van's Warped Tour!! I loved seeing Portland/Alaska's own DIVIDES and even wore a special DIVIDES shirt to the show! I also really enjoyed Reel Big Fish and Tonight Alive. One of my favorite parts of Warped Tour is the variety of not for profit organizations that have booths giving out lots of wonderful information. I didn't get a chance to get pictures at every booth but I did manage to get several leaflets and/or business cards and I plan on spending some time sharing their information later today. July 29, 2016 - My name is Poppy and I will be spending a few weeks in the Portland Metro area before I'm hidden for someone else to find! Will it be you? Check back often to see where I travel and to see the clues to my location once I'm hidden. Here is my first photo shoot and the first couple of quick visits I made. You can see me sitting with an iced soy mocha from Brewed Awakenings and then waiting for Gyros at Anoush International Market and Deli. October 9, 2016 - Still no sign of Bowie. September 26, 2016 - Still no sign of Bowie. August 29, 2016 - Still no sign of Bowie. Hopefully we'll see something soon! August 14, 2016 - After a fun day of watching bands, meeting people and learning about some great not for profit organizations, I sat on the edge of the Reel Big Fish merch table and waited for someone to spot me and take me with them! It finally happened around 5pm! After some trepidation (after all, a free doll like me MUST have some sort of a catch), a lovely girl and two of her friends picked me up and carried me away! My creator, Summer, was nervous about me being the very first Traveler doll hidden in public so she waited a couple booths away to keep an eye on me and see if anyone would pick me up. She was delighted to see the interaction between the girl, her friends, and the Reel Big Fish's merch guy (who was kind enough to let me sit at his table). Clearly, they were unsure as to whether or not I was really free...I was holding a sign that said to take me, but I understand the hesitation. I hope you will all hear from me again soon! August 12, 2016 - My name is Bowie! I was completed on August 12, 2016. I was created specifically to be hidden at Van's Warped Tour at the Portland Expo Center. UPDATE - February 4, 2017 - Jayne is currently working as an assistant to artist Loretta C. Knapp in New Haven Connecticut! Check out the photos we received below! October 9, 2016 - Jayne is M.I.A. Hopefully, we'll hear from her soon. September 26, 2016 - Jayne is still in Connecticut hanging out with an artist. Still waiting on an update. August 29, 2016 - Jayne arrived safely in Connecticut. Now we are just waiting for an update. August 17, 2016 - Hello! My name is Jayne and I was completed today! I will begin my journey in Connecticut this Saturday. After the reaction of the girls who picked up Bowie, it was decided that I would need some simple, business card sized notes to let people know I'm meant to be taken. There are five notes included in my backpack with my Travel Log so that future adventurers will have something to place with me when they hide me.